Mr. Armstrong was born and raised in Edmonton and currently resides in Calgary. He obtained his Bachelor of Arts with distinction from the University of Alberta in 1995. In 1998 he graduated with his Bachelor of Laws University of Calgary. Mr. Armstrong articled with the Court of Queen’s Bench and the Court of Appeal of Alberta. Mr. Armstrong practiced with one of Calgary’s preeminent litigation boutique firms from 2000 – 2015 where his practice focused on employment litigation, administrative and privacy law, professional negligence defense work and commercial litigation. During his time in private practice, Mr. Armstrong appeared before all levels of court in Alberta, numerous administrative tribunals and appeared before the Supreme Court of Canada. 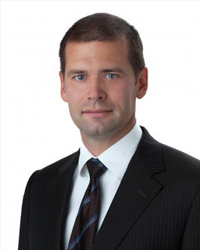 In 2015 Mr. Armstrong joined the Calgary Police Service as in-house privacy counsel where he advises the organization on legal issues relating to access to information and privacy matters. From 2010 – 2014, Mr. Armstrong taught civil procedure at the University of Calgary Law School where he was also an instructor and team lead for the Law School’s Trial Advocacy course. 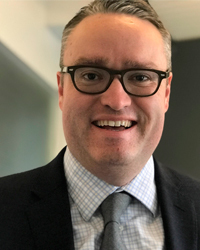 Mr. Armstrong also instructs students in the civil litigation portion of the Bar Admission course and has served as an Examiner for the Legal Education Society of Alberta. In June, 2017 Mr. Armstrong joined the Alberta Lawyers Insurance Exchange Advisory Board as a director. Mr. Armstrong joined the Board in 2015. 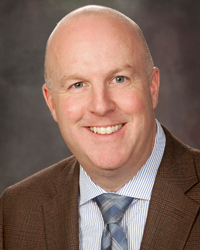 Mr. Teskey was born and raised in Edmonton and received his Bachelor of Laws from the University of Alberta. Mr. Teskey practices exclusively in the area of criminal defence law and has significant experience defending against regulatory and professional discipline allegations. Outside the practice of law, Mr. Teskey serves on the Board of Directors and Executive Committee of the Schizophrenia Society of Alberta, a non-profit organization dedicated to advocacy, support and housing for Albertans suffering from schizophrenia. Mr. Teskey joined the Board in 2015. Mr. Anderson’s practice is based in Lethbridge, Alberta. He obtained a Bachelor of Science from the University of Alberta and law degree from the University of Calgary. He returned to his rural roots after law school and has been living in his home town of Magrath and practicing in the Lethbridge area. His practice consists of agricultural transactions and finance, wills and estates, and family law disputes, including work as a mediator. Mr. Anderson has served in many areas including the Chair of a non-profit serving individuals with developmental disabilities, Lethbridge Bar Association, Economic Development, and Scouts Canada. He has taught courses for the Lethbridge College (Business Law), Lethbridge Public Legal Education (Wills and Estates), and the Legal Education Society of Alberta (Family Law Issues). 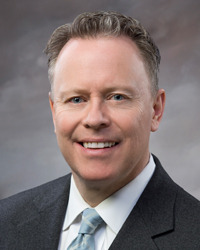 Mr. Anderson joined the Board in 2018. 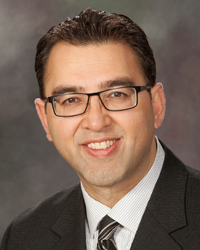 Mr. Chak received his Bachelor of Arts and Bachelor of Laws from the University of Alberta. He also received his LLM and Diploma in Justice Administration from Osgoode Hall Law School. He currently is on the National Council for the Canadian Bar Association as well as the National Constitutional and Human Rights Law Section. Mr. Chak is a human rights advocate who represents many individuals and organizations who have faced human rights violations in the area of employment and public services. Mr. Chak is an active member of the legal community (pro bono, public speaking, and mentoring young lawyers), the Arts community and his ethnic community. Mr. Chak is an avid jurist and continues to improve his education within the law. He takes part in legal seminars, workshops and has spoken at several legal conferences. Mr. Chak joined the Board in 2015. Ms. Flett was called to the bar in 2011 in Fort McMurray, where she continues to practice. Ms. Flett is a member of the Athabasca Chipewyan First Nation. 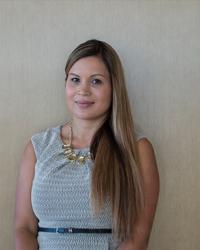 She is a Partner at Cooper & Company, with a primary focus in family law. Ms. Flett has gained extensive board and governance knowledge over the years from her involvement in the legal profession and community, including the CBA Alberta Branch Executive Council, the CBA National subcommittee on judicial issues, the Law Society of Alberta Education and Credentials Committee, Pro Bono Law Alberta, the Northern Lights Health Foundation and the Fort McMurray Airport Authority. Ms. Flett joined the Board in 2018. Mr. Hendsbee was born and raised in southern Ontario and received his Honors Bachelor of Arts (History) from the University of Western Ontario. He obtained his Bachelor of Laws from the University of Alberta in 1993 and was admitted to the Alberta Bar in 1994 as well as the Northwest Territories Bar in 1997. 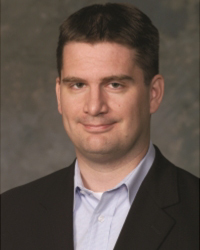 Mr. Hendsbee is a partner at Cummings Andrews Mackay LLP, where he has practiced exclusively in plaintiff personal injury law for more than two decades. Mr. Hendsbee has served as President of the Edmonton Bar Association and as President of the Alberta Civil Trial Lawyers Association (ACTLA). He has volunteered his time to chair and speak at seminars for both the Legal Education Society of Alberta and ACTLA. Mr. Hendsbee is active in his community, serving as a Board Member of Spinal Cord Injury Alberta and he chaired a golf tournament in support of the Alberta Cancer Foundation for 10 years. He has also been involved in the sports community, serving as Commissioner of the Alberta Colleges Athletic Conference since 2006; while also having served as the President of the Alberta Climbing Association and as a Board Member of both Climbing Canada and the Paralympic Sports Association. Mr. Hendsbee joined the Board in 2018. Mr. Johnson was born and raised in Calgary and attended the University of Alberta where he graduated with his Bachelor of Laws. He is currently counsel with Burnet, Duckworth and Palmer LLP where he has been for over 40 years. 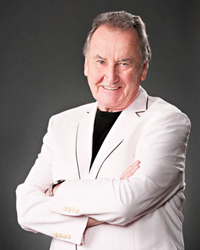 Mr. Johnson has chaired and served on the Board of Directors of Vertigo Theatre and has also served on the Board of Directors of the United Way, the Springbank Community Planning Association and the Doorway (Moving People off the Street). Mr. Johnson has been named in the Best Lawyers in Canada in the area of Natural Resources Law annually since 2008, in the area of Project Finance Law annually since 2012 and in the area of Banking & Finance Law annually since 2013. He has chaired the South Alberta Real Estate Subsection of the CBA and was Chair, South Alberta, for the Joint Legislative Review Committee of Law Society of Alberta and Canadian Bar Association, Mr. Johnson also taught law at the University of Calgary and Mount Royal University, has instructed in the Bar Admission Course and currently instructs in the Professional Responsibility section of CPLED. Mr. Johnson joined the Board in 2013. Ms. Long was born in Lethbridge, Alberta, the granddaughter of Alberta homesteaders. She served in the Canadian Forces for over a decade until attending the University of Alberta and graduating with a law degree in 1985. She was admitted to the Bar of the Law Society of Alberta the following year. Ms. Long has worked in the family law area for 29 years, founding a family law firm in 2004 which has evolved to a small firm partnership. 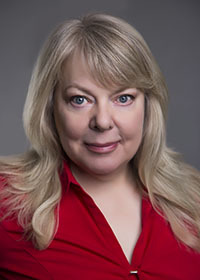 She provides services primarily in collaborative family law and family mediation, as well as acting as an Arbitrator of family law disputes. She continues to be an active mentor to junior lawyers. Ms. Long is a Registered Collaborative Family Lawyer, a Registered Family Mediator and an Arbitrator, having completed the Certificate program in Arbitration through the Alberta Arbitration and Mediation Society. She has served on the Boards of the Alberta Arbitration and Mediation Society and the Alberta Family Mediation Society, has Chaired the ADR section of the Northern Alberta Branch of the Canadian Bar Association, and has over four decades serving in a volunteer capacity with many other organizations. Most recently she has served as Co-Chair of the Association of Collaborative Professionals (Edmonton). Ms. Long joined the Board in 2018. Mr. Lutz was born and raised in Calgary. He received his Bachelor of Arts from Mount Allison University and his law degree from the University of Wales. Mr. Lutz works at Dartnell Lutz, where he practices criminal law and represents individuals in front of disciplinary boards. He is a Past President of the Calgary Bar Association and has lectured at the University of Calgary, Mount Royal University, and the Southern Alberta Institute of Technology as a member of the Calgary Bar Association, Criminal Trial Lawyers Association and Criminal Defence Lawyers Association. Mr. Lutz joined the Board in 2018. 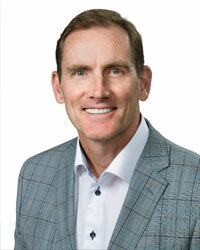 Mr. Melnyk was born and raised in Edmonton where he obtained his Bachelor of Commerce degree in 1985. After completing his law degree in 1990 at the University of Alberta, Mr. Melnyk began practicing law in Red Deer, and has been an active member of the bar since 1991. He is currently a partner with the law firm of Warren Sinclair LLP. In 2017, Mr. Melnyk was the recipient of the Distinguished Service Award from the Law Society of Alberta and the Canadian Bar Association (Alberta Branch). 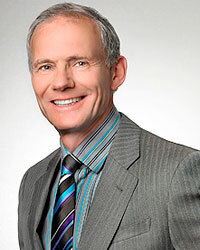 In 2010, he was awarded the Prism Award for outstanding commitment to pro bono legal services in central Alberta. 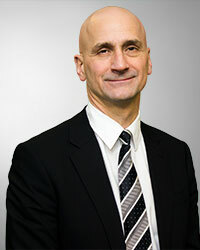 He is a current member of the Family Law Rules Advisory Committee. In addition, Mr. Melnyk has been a chair and presenter at Legal Education Society of Alberta conferences dealing with family law. Mr. Melnyk has also been an active member of the community where he has been the Run Director for the CIBC Run for the Cure, Canadian Cancer Society since 2016. He is also a past board member with the Heart and Stroke Foundation in Red Deer and an ongoing volunteer with the Festival of Trees (fundraiser for the Red Deer Regional Health Foundation). 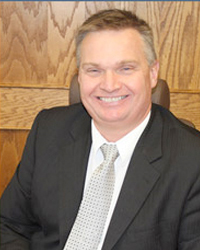 Mr. Melnyk joined the Board in 2018. Mr. Pavlic was born and raised in Edmonton and received both his Bachelor of Commerce and Bachelor of Laws from the University of Alberta. He practises at MLT Aikins LLP in Edmonton with a focus on Labour and Employment Law and has made numerous appearances before the Court of Appeal, Court of Queen’s Bench, administrative tribunals and arbitrators. Mr. Pavlic is a frequent speaker and presenter of papers on Labour and Employment topics at several provincial, national and international conferences. He is a Board Member of the Legal Education Society of Alberta and has actively participated in numerous legal and community organizations. He is also a past President of the Canadian Bar Association Alberta Branch. Mr. Pavlic previously served on the Board 2013 – 2015 and became a Board Member again in 2017. 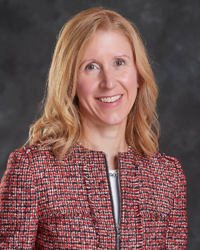 Ms. Petersen was born in Calgary, raised in Lethbridge and educated at the Universities of Lethbridge and Alberta where she graduated first with a Bachelor of Science followed by a Bachelor of Laws in 1987. She has supplemented her interest in Alternative Dispute Resolution with many courses including the Harvard Law School Intensive Mediation Course. Ms. Petersen articled with a small firm in Lethbridge, returned to Edmonton where she has practiced with a large international firm, a mid-sized litigation boutique and since 2017 has pursued a litigation practice with Kingsgate Legal focusing on professional liability and specialty liability claims. Community service and involvement in the legal profession have been integral to Ms. Petersen’s career. She has contributed to the profession as a Bencher in 2017 – 2018, as a member of a number of Law Society committees and as a speaker at Legal Education Society of Alberta, CBA and other professional seminars. She has also served on not for profit boards including Terra Centre, an organization that provides education, parenting and housing supports for teen parents. Ms. Petriuk was born and raised in Calgary. She received her BA from Queen’s University in 1991, her LLB from the University of Calgary in 1996 and her LLM from the University of Cambridge in 2001. Ms. Petriuk is a partner at JSS Barristers, a civil litigation boutique, where she was the Managing Partner from 2015 to 2017. Her practice focuses exclusively in civil litigation, with an emphasis on professional negligence defence work and commercial litigation. Ms. Petriuk is active in her community and has been a member of the board of directors of the Calgary Arts Development Authority since 2014. She has presented at numerous seminars in Calgary and Edmonton on diverse civil litigation topics including e-trials, e-discovery, drafting pleadings and the Rules of Court. Ms. Petriuk joined the Board in 2018. 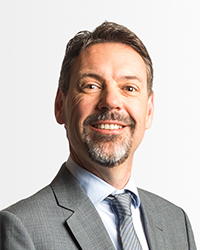 Mr. Philp joined the Board in 2018 after a career that included an administrative and labour law practice. As part of his administrative law practice, he provided counsel to First Nation and Metis communities. Mr. Philp has a significant adjudication background experience, including labour and human rights tribunals, and professional discipline proceedings. His litigation experience has seen him appear before all level of courts including the Supreme Court of Canada. Mr. Philp was a Judge of the Provincial Court of Alberta for nearly 10 years and most recently served as the Chief Commissioner of the Alberta Human Rights Commission. He is a frequent lecturer at the University of Alberta Law School and is very active as a mentor to law students and young lawyers. Ms. Ryan was born and raised in Edmonton. She attended the University of Alberta where she received her Bachelor of Laws in 1991. She was admitted to the Alberta Bar in 1992. 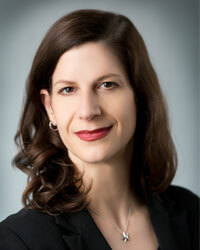 Kathleen is a litigation partner at DLA Piper (Canada) LLP in Edmonton. Ms. Ryan practices primarily in consumer and injury litigation, professional negligence, employment litigation, and commercial litigation. Kathleen has been recognized twice by Best Lawyers in Canada (Corporate and Commercial Litigation) and she has twice been recognized by Lexpert as a Leading Practitioner in Canada (Personal Injury Litigation). Ms. Ryan was named one of Canada’s Most Powerful Women: Top 100 for 2013. Ms. Ryan was elected to the Board in the 2011, 2014 and 2017 Board Elections. She is a board member of the St. Thomas More Lawyers’ Guild (and a past President) and the Alberta Civil Trial Lawyers Association (and a past President). She is the current President of the Edmonton Ringette Club. Ms. Ryan co-chaired the Creating Safe Space Anti-Bullying Breakfast from 2010 through 2013. Ms. Ryan has been a presenter at numerous legal seminars and a guest lecturer at the University of Alberta Faculty of Law in Professional Responsibility (Ethics in Negotiations). She has frequently taught or evaluated the CPLED course in Negotiations between 2001 and 2017. Ms. Scott was born and raised in Edmonton, Alberta. She studied economics in the Faculty of Arts at the University of Alberta from 1978-1981 and obtained her Bachelor of Laws from the University of Alberta in 1984. She is a senior partner in the Edmonton office of Dentons Canada LLP and practices in the areas of commercial law, real estate, and lending. 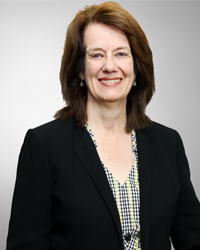 She has been recognized by Best Lawyers in corporate law, real estate, and financial services. Darlene has been an instructor at the University of Alberta Faculty of Law and Faculty of Extension, at Legal Education Society of Alberta Bar Admission Courses and has been a panelist and chair at numerous Legal Education Society of Alberta conferences. From 2009 – 2014, she has acted as a director and Secretary of Little Warriors, a non-profit organization dedicated to the prevention and treatment of childhood sexual abuse. 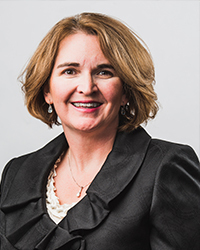 She is currently the Chair of the Alberta Law Foundation and serves as Chair of Conduct, as well as Credentials and Education and the Real Estate Practice Advisory Committee. Ms. Scott served on the Nominating Committee in 2017 and has served on the Executive Committee of the Law Society since 2015. Ms. Scott became a board member in 2014. Ms. Steblyk was called to the Alberta Bar in 1999, and she has practised law in Calgary ever since. She received her law degree from the University of Alberta in 1998 (With Distinction), after completion of her undergraduate degree in English (First Class Honours) at the University of Calgary. After 10 years in private practice as a civil litigator, Ms. Steblyk accepted a position as litigation counsel for the Alberta Securities Commission, where she prosecuted breaches of the Alberta Securities Act before the Commission and the Provincial Court of Alberta (Criminal Division). In 2017 she moved to the Office of the Vice-Chairs of the Alberta Securities Commission, where she assists Commission adjudicators with legal research, preparation of oral and written decisions, and policy matters. Ms. Steblyk has always had a strong interest in public service, and has worked in a wide variety of volunteer capacities. She is the Chair of the Legal Aid Alberta Board of Directors, a director and Immediate Past Chair of the Board of Directors of the Calgary Humane Society, Past President of the Association of Women Lawyers, Past Chair of the CBA Alberta’s Civil Litigation subsection (south), and a regular guest instructor at the University of Calgary Faculty of Law. Since 2003, she has served on several Law Society committees, including Conduct, Finance, Credentials and Education, and the 100th Anniversary Celebration Steering Committee. 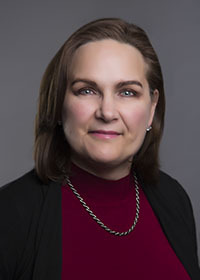 Ms. Steblyk joined the Board in 2018. Constitutional Law, 4th Flr., Bowker Bldg. Ms. Unsworth was born and raised in Edmonton where she received her Bachelor of Science (Psychology) and Bachelor of Laws from the University of Alberta. She is the Director of Constitutional Law with Alberta Justice and Solicitor General. As a legal advisor to the Government of Alberta for the past 30 years, her practice covers a wide range of constitutional and human rights questions from division of powers issues to Charter rights and constitutional conventions. 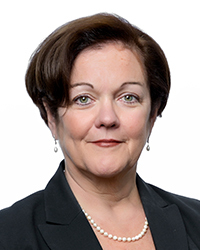 Ms. Unsworth is an experienced litigator who has represented the Attorney General of Alberta at all levels of Alberta Courts and has appeared numerous times before the Supreme Court of Canada, most recently as lead counsel for Alberta on the Senate Reference. Ms. Unsworth has served on the Executive of the Civil Litigation and Constitutional Law sections of the Canadian Bar Association (Alberta Branch) and continues to speak at CBA sections. In addition, she is actively involved with the University of Alberta Faculty of Law, assisting in the mooting program and speaking on an ad hoc basis. Ms. Unsworth has received numerous awards for work on team projects within Alberta, on intergovernmental projects, like the incorporation of Banff, and has been recognized for her dedication to the future of the profession through her work as mentor and coach. Ms. Unsworth joined the Board in 2016. Mr. Warren was called to the Bar in 1986. He obtained his Bachelor of Arts (Honours) and Bachelor of Laws from the University of Calgary. He also completed the Harvard Mediation Workshop in 2000. Mr. Warren is a Partner at Gowling WLG, where he practises in the area of commercial dispute resolution with a focus on shareholder disputes, professional liability defence, executive employment law and mediation. He is recognized by Best Lawyers and Lexpert in Corporate Commercial Litigation and by Best Lawyers in Alternative Dispute Resolution. Mr. Warren served as the managing partner of Gowling WLG’s Calgary office for nine years, stepping down in 2016. He has practised with one firm for his entire career. He is an active member of his community and profession. He served on the Board of the Calgary Urban Project Society from 2010 – 2017, served on numerous Law Society of Alberta committees continuously since 1993 and has regularly lectured in the CPLED program. Mr. Warren joined the Law Society of Alberta Board in 2018. Mr. Whitling is a criminal appellate lawyer who has practiced law in Edmonton since 2000. Upon his graduation from the University of Alberta Faculty of Law in 1997, he was awarded the Horace Harvey Gold Medal in Law, and then obtained his LL.M. degree from Harvard Law School in 1998. In 1999-2000, Mr. Whitling served as a law clerk to the Hon. Mr. Justice John Major of the Supreme Court of Canada. Mr. Whitling has appeared before the Courts of Appeal of Alberta, Ontario, Saskatchewan, British Columbia, Manitoba, as well as the Federal Court of Appeal, and has appeared before the Supreme Court of Canada on more than 10 occasions. He has been awarded several awards and honours, including the National Pro Bono Distinguished Service Award (2008), The Harradence Prize, and the University of Alberta Alumni Award of Excellence (2011). Mr. Whitling joined the Board in 2018. Elizabeth Hak has a B. Sc. in Genetic Toxicology and a Journalism diploma. She worked at the RCMP Forensic Laboratory in Edmonton, Alberta as an Alcohol Expert for 12 years. She has extensive writing and decision-making experience. 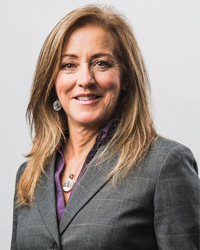 Since 2011, she has served on a number of boards and councils including the Alberta Transportation Safety Board, the AISH/IES Appeal Panel and the Licence and Community Standards Appeal Board in Calgary. She was a public member with the Life Insurance Council of Alberta and the Alberta College of Combined Laboratory and X-ray Technologists. Elizabeth is currently a member of the Transportation Appeal Tribunal of Canada and is a public member with the General Insurance Council of Alberta. Barbara McKinley is the owner of The Worker’s Advocate, where she has worked as an advocate and appeals representative for over 20 years. She has extensive experience interpreting and applying legislation and policy in order to participate in appeal hearings, prepare written arguments and facilitate communication between individuals, unions and the Worker’s Compensation Board (WCB). 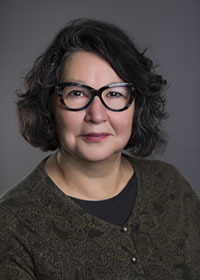 She served two years as a member on the Alberta Federation of Labour Committee on WCB and Health and Safety, the Technical Working Group on Occupational Health and Safety Code, the Alberta Union of Provincial Employees (AUPE) Disability Appeals Panel, and as Chair for the Alberta Labour Coalition on Worker’s Compensation. She has a Bachelor of Arts degree in Linguistics and French and a Bachelor of Music degree both from the University of Alberta. Cora Voyageur is a Sociologist and a Professor at the University of Calgary. She teaches a variety of Criminology courses and courses about Indigenous life in Canada and around the world. She is also the faculty leader for the Indigenous Women in Leadership program at the Banff Centre. Her academic research is focused within Indigenous communities and their lived experience, including Indigenous women entrepreneurs in Alberta and Indigenous women who serve on Boards of Directors. Cora has participated on numerous boards and committees within Edmonton and Calgary. She earned her Master of Education in Educational Foundations and her Doctor of Philosophy in Sociology from the University of Alberta. 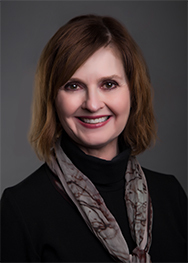 Ms. Wasylenko received her Bachelor of Commerce from the University of Alberta in 1980, and her Certified Management Accountant (CMA) designation in 1989. 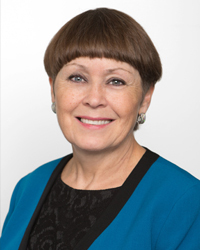 Ms. Wasylenko has extensive experience working in legal and regulatory environments, both professionally and as a board member, advising and educating on the need for commitment to professional standards and codes of conduct, adjudication and strategies for remediation. She has played senior management roles at Bennett Jones, KPMG, and several major health care organizations and municipalities, responsible for the analysis and management of financial processes, risk management and compliance activities. Ms. Wasylenko is semi-retired and contributes her financial expertise to several non-profit organizations. Ms. Wasylenko was appointed to the Board in 2015.